The California-based subsidiary of Hong Kong-headquartered Li-Tong Group (LTG), Re-Teck, a global provider of reverse supply chain management (RSCM) solutions, has announced that Re-Teck Brazil, Sao Paulo, has been awarded the latest version of the Responsible Recycling Practices (R2) certification, R2:2013. 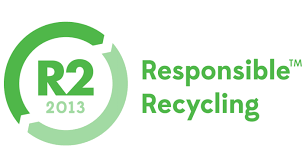 The R2 standard is designed to help ensure the quality, transparency and environmental and social responsibility of electronics recycling facilities around the world. More than 750 R2-certified facilities are operating in 30 countries, according to SERI, the housing body and American National Standards Institute- (ANSI-) accredited standards development organization for the R2 Standard. By emphasizing resource management over resource recycling, the R2 Standard helps companies extend the life cycle and reduce the environmental impact of electronic devices, Re-Teck says, adding that reusing components is fundamental to a circular economy and provides not only environmental but also social benefits. Each year, Re-Teck is verified by auditors and certified by various international standards, including OHSAS 18001, ISO 14001, the National Association for Information Destruction (NAID). More information about the company’s certifications is available at https://www.re-teck.com/certifications.php. LTG is a global market leader in reverse supply chain management (RSCM) solutions for OEMs (original equipment manufacturers), enterprises, government and consumers for the reuse, remanufacture and recovery of tech products and components, including mobile devices, smart devices, big-data network and telecom equipment.